The Oklahoma City Public School District is preparing for major changes to its operating budget as school officials tackle funding cuts required as a result of the state’s deficit. Associate Superintendent Aurora Lora recently announced that administrators would recommend trimming around $7 million from next year’s budget. Lora noted these cuts would include suspending certain programs, including arts and athletics, eliminating staff positions from the district’s central office, implementing furloughs and consolidating some neighborhood schools. As ABC affiliate KOCO News reported, this is the third round of announced cuts for the city’s public school district. Only one week prior, the district revealed plans to trim $10 million from its budget next year, which required changes to bus schedules and routes, a reduction in elementary school supplies and the elimination of new textbooks as a line item. All of this followed a March announcement that the district would enact $13 million in cuts by eliminating more than 200 teaching jobs and around 100 administrators positions. All told, the district has announced approximately $30 million in cuts for the next school year. “These are dire financial times, and the budget cuts present the school district with some of the most difficult and challenging decisions we have made in years,” Lora said. Lora urged the district’s school board to take on several measures she said would trim the budget while still protecting teacher jobs and the educational experience for students. These items included slashing two days from the school year and reducing athletics and fine arts supply budgets by 25 percent. However, the most notable aspect of Lora’s latest announcement was the intention to consolidate schools with fewer than 350 students. “These schools are economically inefficient to operate and students in these smaller schools are not afforded many of the services students in our larger schools receive,” Lora stated. In selecting which schools to consolidate, the district would look at student population size, followed by the total square footage versus the amount of space being utilized, as well as the proximity to other schools. 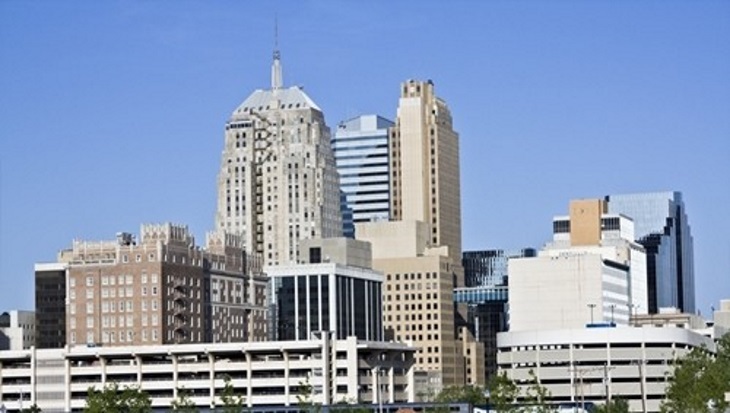 The Oklahoma City Public School District is the largest in the state, but as The Oklahoma Daily reported, budget shortages for education are not limited to the municipality. State funding for public education has been greatly reduced in the current fiscal year, leading to greater pressure on individual district budgets. State lawmakers previously announced plans to cut around $235 million from the state budget after falling oil and natural gas prices hurt state revenue. State agencies, including schools, were required to trim about 7 percent for their current fiscal year budget and public schools lost $110 million in state funding in early March for the current budget cycle that ends June 30. Oklahoma recently ranked 48th in the nation in a school quality report from Education Week Research Center. Education officials, including Norman Public Schools Superintendent Joseph Siano, who spoke with the Daily, are concerned that, in addition to funding depletion, the state is also losing talent. Siano noted that many well-qualified teachers leave the state to seek better paying or more stable employment elsewhere. Greg Garn, dean of the education department at the University of Oklahoma, also told the Daily it is becoming increasingly difficult to retain recent graduates to work in the state. Garn said around 60 percent of the university’s teaching graduates will look for work in neighboring states. “The sort of discrepancy in terms of the salary gap between us and surrounding states, it continues to increase,” Garn told the Daily. Responding to significant revenue shortages at the state level requires public school districts to make difficult decisions. While weighing ways to come into compliance with mandated budget cuts, schools must also balance funding for their staff and the educational experience of their students. With Questica’s web-based, streamlined software, public school administrators have access to advanced planning tools that enable careful examination of proposed budgets. Questica’s K-12 school budgeting platform offers easy sharing tools and real-time data that eliminate guesswork and inefficiency and improve accuracy and collaboration. Through its performance tracking tools and multi-year, unlimited revisioning of hypothetical budgets, Questica helps administrators to envision multiple solutions to budgeting challenges. Further, administrators can track how these solutions affect the quality of education for students over time. With the Performance Module, administrators can establish and track a cost per student target while also quantifying and monitoring other performance metrics such as attendance, student progress or teacher retention. K-12 public schools working to prepare for budgetary changes should contact Questica to learn how this configurable and advanced school budget software system can aid in overcoming the challenges of reduced state funding.